Don't forget to add love, it makes all the difference! Season vegetables with salt & pepper. Add onion and pepper to skillet with olive oil over medium heat. Sauté for 3-5 minutes or until tender. Remove from skillet and set aside. Add seasoned filet to skillet over medium heat. Brown both sides to your preference. 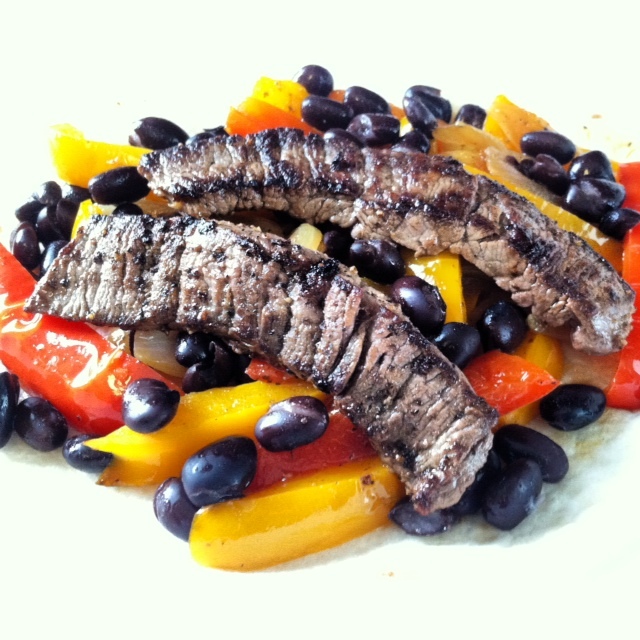 Add vegetables to warmed tortilla and top with black beans and filet. Don’t forget to add love, it makes all the difference!